This is a mixed-media bistro table. 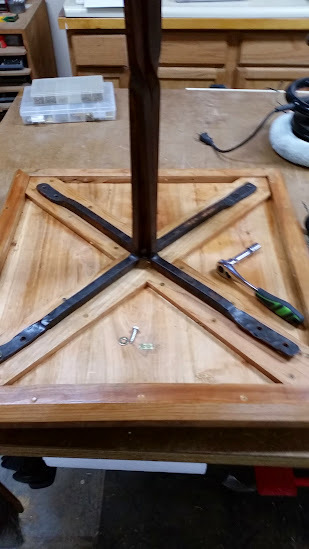 The legs have been forged from 1/2 inch hot-rolled steel and the top is laid-up using Wisconsin cherry. The table is 27 inches high and the top is 24 inches square. At the edge, the top is 1-1/2 inches thick. However, the bottom half of the top has been beveled at 45 degrees to reveal a nominal 3/4 inch edge. (From the side, the top looks thicker). The steel supports the underside but is joined in the center to form a pedestal with a quarter twist half-way down. The feet are forged elm leaf patterns and the steel has a mottled light and dark brown patina. The top was rubbed with tung oil, then polyurethane. The oranges are from Costco. The underbelly and base mounting. 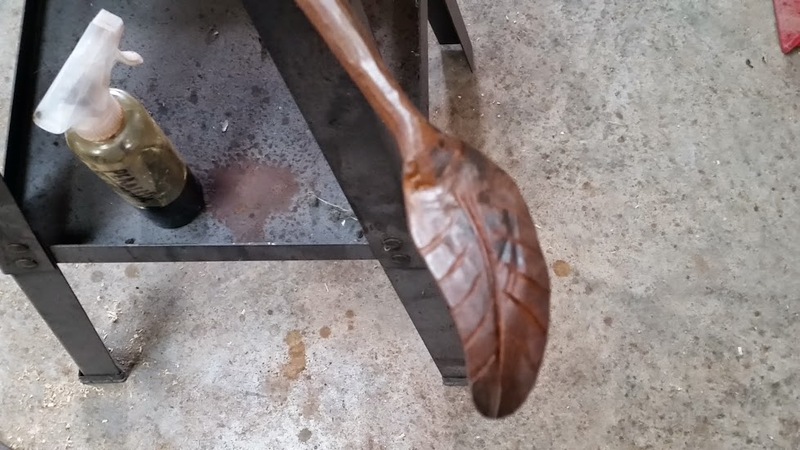 The patina being applied to a foot. 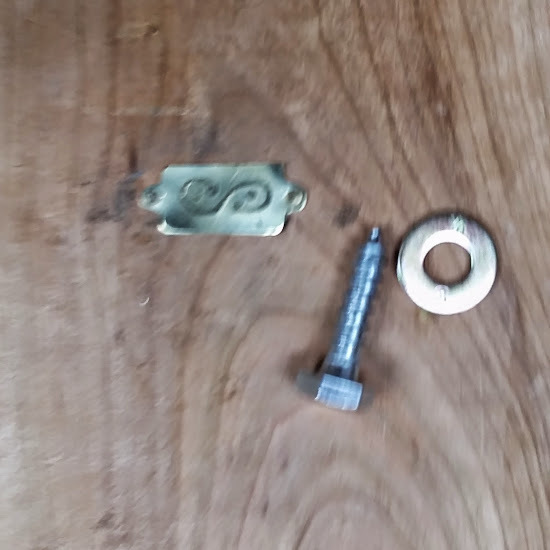 The makers-mark in brass...blurry as hell...sorry.